I’m a sucker for a great pillow! I have a feeling that there are many of you with the same pillow affliction as me! Today I wanted to share a fantastic resource for designer fabric pillow covers that I use for myself/clients that I wanted you guys to know about and explain why this source is such a great find! Have you ever searched online for fabric for pillows and you run across an AMAZING fabric pattern that just stops you in your tracks only to find our that the fabric is only available to the trade/designers? It’s not fun finding the fabric of your dreams and then you can’t order it. Well there’s great news! There are now sources for buying “to-the-trade” only designer fabric pillow covers that are already made that can make your dream fabric a reality! 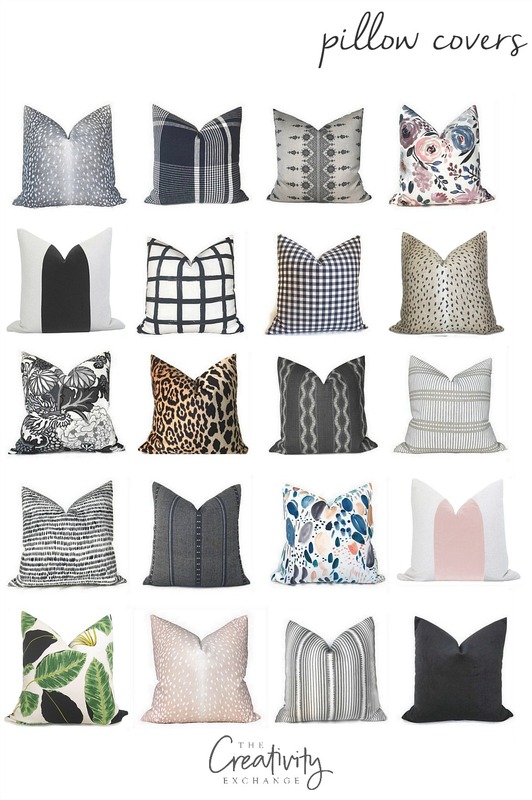 Over the years, I have really struggled when it came to having higher-end designer fabric pillows made for myself/clients. Often times I only need 2-3 pillows and the designer fabric lines that I LOVE and want to use like Schumacher, Lee Hofa and Brunschwig and Fills not only have a minimum yardage requirement for purchase (through my trade account) but often times the popular patterns are back ordered and can take months to come in. 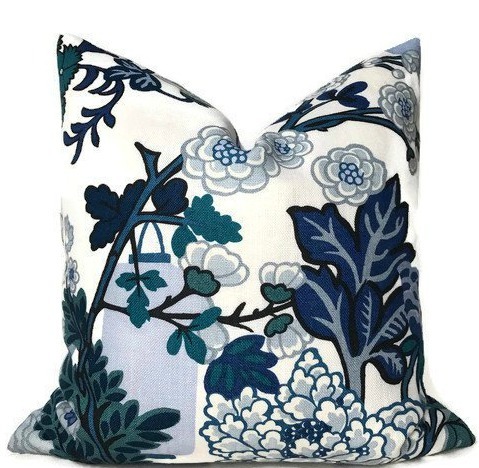 After talking with a designer friend awhile back, I found out that Etsy has several shops that carry a wide-array of those higher-end designer fabrics like Schumacher and others in ready-made pillow covers. Yes! Already made! These Etsy shops are taking the most popular decorator fabrics and making beautiful pillow covers that anyone can purchase! 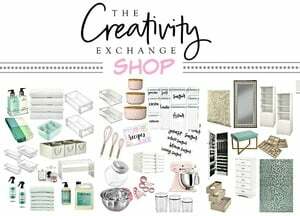 You don’t have to have a trade account or be designer. After testing out a couple of these Etsy shops by ordering a pillow or two to see if the quality was there, I was so impressed that started ordering for my clients and recommending. The two Etsy shops I now use are; Dekowe and Willa Skye. I have been ordering from both of these shops for over a year now and I have been so happy with the quality and service of both of these shops. Dekowe is the larger of the two shops that I use and they usually have at least 500-600 decorator fabric pillow covers in stock. These are all the some of the most popular designer fabrics that are back ordered if you tried to order the fabric directly from the manufacturer. I do have to mention that because these are higher-end decorator fabrics that are pretty expensive when you buy them by the yard ($150-$300 a yard), the cost of the pillow covers will cost a little more than a pillow cover from a store like Wayfair or Pottery Barn but they are still a fantastic deal vs. having to buy a yard or two of fabric. Also, there is absolutely no comparison when you compare these designer fabrics to something like a Pottery Barn pillow cover. 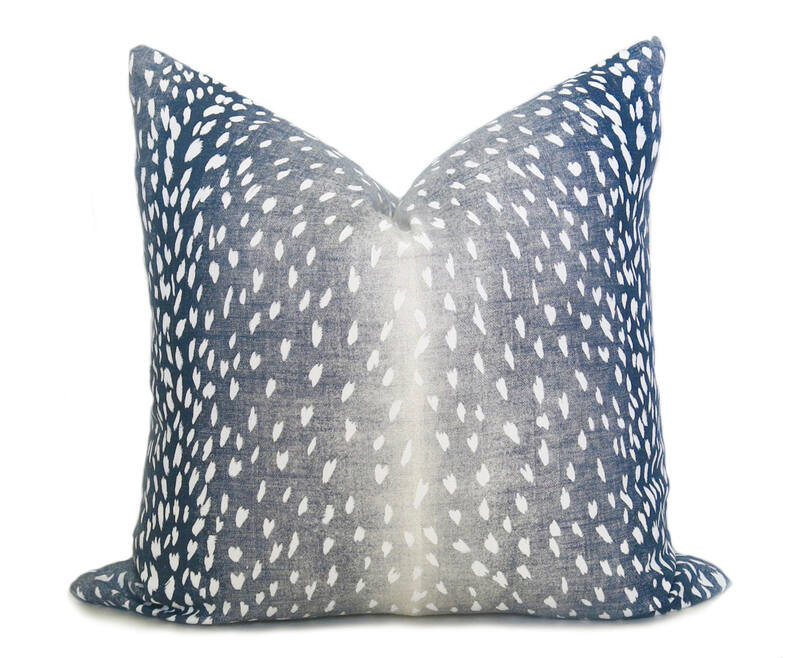 Willa Skye has fewer in-stock pillow covers but what they have is AMAZING! 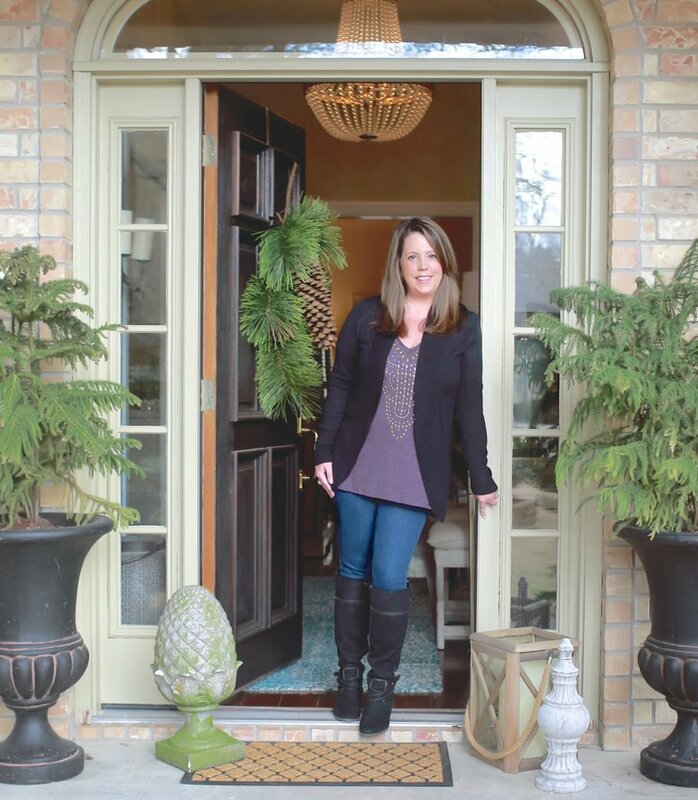 I love that Willa Skye always carries a wide variety of solid Belgian velvets that are beautiful and great staples for mixing with patterns. Ok, so I went through both shops and pulled my favorite pillow covers right now to inspire you! The link to order the cover is directly below the image. By the way, you can buy pillow inserts on Dekowe as well here. I personally like to use the poly fill but some people really prefer down or 50/50 mix. I just think poly fill holds the shape better. Also, it’s recommended that you go up 1″-2″ in your pillow inserts for pillow covers to make sure the covers are filled and full. I hope these sources will be helpful for you and come in handy next time you’re looking for the perfect pillow! Thank you for this post. I have looked and looked for unique pillow covers. 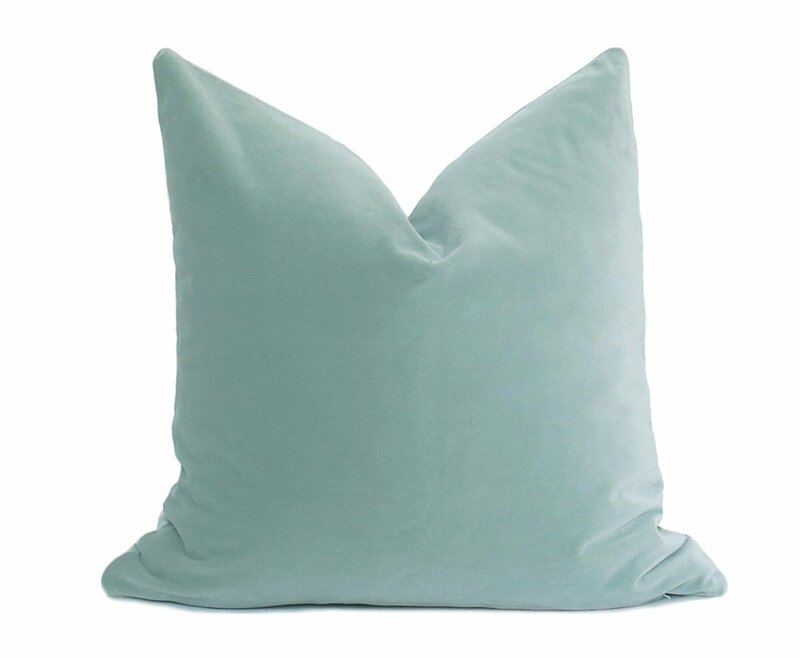 I noticed that several bloggers purchase pillows from Willa Skye. I would love to see a post on how to choose pillows for sofas and bedrooms. I think I remember you discussing the topic? I love your posts! Cindy thank you! I am in the same boat and would like to find the same material used by Surefit Furniture covers. I know its not high end per se but I purchased the large chair and ottoman cover from them but they don’t have matching pillow covers! I’ll take a look on Etsy but if you know of a site please do share!